Episode 8: Howth Castle, of Season 2 of "Cé a Chónaigh i mo Theachsa?" ("Who Lived in My House? "), TG4. Presented by Manchán Magan. First aired 1 Mar 2012. From Tile Films. Length: 1:38. 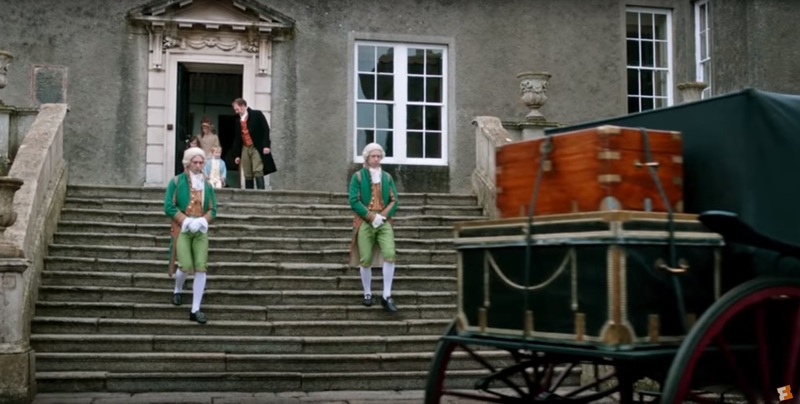 Howth Castle was used as a location for the movie Love & Friendship (2016). Trailer for Love & Friendship (2016). Clip showing Howth Castle front. From Featurette - Behind the Scenes. Pan from right to left. From here. Hosted at my YouTube account. Light adjusted. Download original AVI file. Pan from left to right.